Whether you want a style overhaul or a quick trim, here’s a round-up of some of the city’s favourite salons for hair dos. This iconic family-run enterprise has dominated Kolkata for decades. It’s a ladies-only salon, known for old-style hairdressers and hair spa specialists. Haircuts are reasonably priced starting at INR 650 for short bobs. This chain attracts the fashion-forward people of the city. Anyone looking to experiment with their hair in terms of colour and makeovers should check this place out. Services start at INR 1,000. A stone’s throw away from ITC, this salon is a well-kept secret. If you want to try to a look sported by your favorite Hollywood celeb, this is the place to visit. Haircuts are priced at about INR 800 to INR 1,000. Tucked away on Wood Street, A Cut Above is your one stop shop for the ideal spa day. This salon has been around for years and many women swear by the skills of the staff here. If you’re in the area, tired after a day of shopping, do pop in to get a relaxing hair spa done. Haircuts range from INR 400 to INR 500, depending on the length of your hair. This is another iconic family-run business which has been serving mothers and daughters for generations. When it began in 1989, there were hardly any parlours in the area and we are talking about posh Ballygunge Circular Road!It remains a favourite for celebrities. 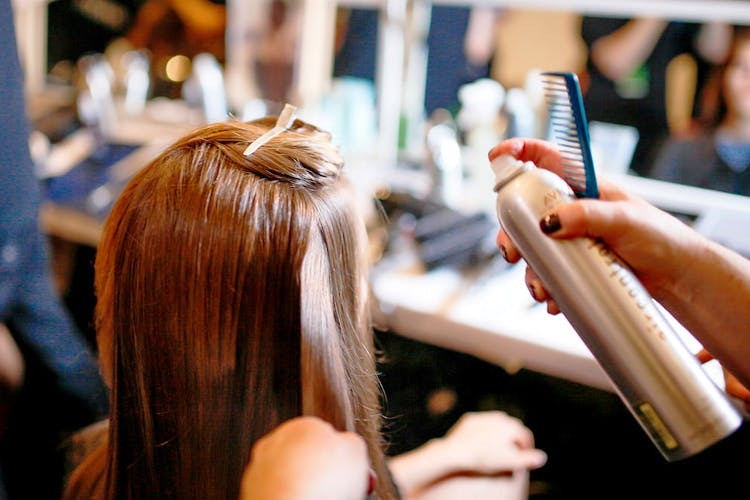 Experienced hairdressers and friendly staff make your visit worthwhile. A regular haircut would cost you about INR 850. An offshoot of June Tomkyns, this place is run by the daughter-in-law of the family. They pride themselves in top-notch client servicing. One can expect to pay around INR 600 and upwards. This unisex salon nestled in the heart of the city, caters to clients from all over the city. They have the best head massages, perfect for a day of relaxation and pampering. They do short and edgy cuts really well. Slightly expensive on the pocket but, totally worth it. Prices start at INR 590 for men and INR 944 for women including taxes. Among one of the older salons in Kolkata, Toppers offers a wide range of hair treatments and massages. This unisex salon in on Sarat Bose Road is the perfect place to spend a lazy Saturday afternoon. Treatments and haircuts begin at INR 250 for men and INR 450 for women. This place might look nondescript form the outside, but as soon as you step in, you know you’re in for a great experience. Run by the sweetest lady, who looks into each of her clients personally and suggests the best hair care treatment. They specialise in specific treatments based on your need. Haircuts and services start at about INR 250 to 500, based on what you have opted for. New in the Kolkata circles of hair salons, this place is rapidly gaining popularity. If you’re willing to travel a little bit and try out something different, PonyUp is the place for you. On an average, a haircut would cost you INR 449 for women and INR 249 for men.